LOS ANGELES – FIFA World Cup™ champions and Olympic gold medalists highlight FOX Sports’ FIFA Women’s World Cup France 2019™ broadcast lineup this summer. Collectively, these champions played on a total of 30 FIFA World Cup™ teams, amassing numerous World Cup titles, Olympic gold medals and legacies for club and country. The announcement was made today by David Neal, Executive Producer, FIFA World Cup™ on FOX and Vice President of Production, FOX Sports. Rounding out the studio lineup are FIFA WOMEN’S WORLD CUP™ TODAY and FIFA WOMEN’S WORLD CUP™ LIVE lead host Rob Stone; FOX SOCCER TONIGHT host Kate Abdo; and Jenny Taft, who serves as co-host and correspondent-at-large for the month-long tournament. Reporter Alex Curry is embedded with the U.S. WNT, providing in-depth reports, breaking news and features on the squad throughout the tournament. Sports Illustrated’s Grant Wahl serves as a reporter-at-large and FIFA referee Christina Unkel weighs in as rules analyst. From Friday, June 7, through Sunday, July 7, FOX Sports offers unprecedented studio coverage live from Paris’s iconic Place du Trocadéro on its television and digital platforms. All 52 matches air live, including 22 on broadcast television – more than any FIFA Women’s World Cup™ ever – and 27 on FS1. Eniola Aluko is a forward for Serie A club Juventus. She made 102 appearances for England from 2004-16 and competed in three FIFA Women’s World Cups™, two UEFA Women’s Euros and the 2012 Summer Olympics. Kate Gill is an AFC Women’s Asian Cup champion with Australia, 2010 Asian Female Player of the Year, twice winner of the W-League Golden Boot and second leading Australian goal scorer. Ariane Hingst is a two-time Women’s World Cup™ champion with Germany. She played in four World Cups™ and made 173 international appearances throughout her career. Hingst was the youngest player on Germany’s 1999 FIFA Women’s World Cup™ squad. Alexi Lalas, a U.S. Soccer Hall of Famer and standout U.S. Men’s National Team defender during the 1994 World Cup™, works his sixth straight FIFA World Cup™ as a studio analyst. In 2018, Lalas made history as the first-ever soccer analyst to be nominated for a Sports Emmy in the Outstanding Sports Personality category. Karina LeBlanc is an Olympic bronze medalist with a prestigious career that spanned almost 18 years at the international level. As a member of the Canadian National Team, she participated in five FIFA World Cups™ and two Olympic Games. In 2018, she was appointed Head of Women’s Football for Concacaf and its 41 countries; which include all of North America, Central America and the Caribbean islands. Heather O’Reilly is a World Cup™ and three-time Olympic Gold medalist. As one of the most successful players in U.S. Women’s National Team history, she played in 231 matches and ranks seventh in assists. Leslie Osborne, a retired U.S. WNT defensive midfielder and member of the 2007 Women’s World Cup™ team, makes her second World Cup appearance as a studio analyst. Christie Pearce Rampone is a two-time World Cup™ and three-time Olympic gold medalist. Over the course of her illustrious 20-year career with the U.S. WNT, Pearce Rampone made the second most appearances in the history of international women’s soccer, with 311 caps. Kelly Smith is arguably the greatest women’s soccer player in England’s history, recording more than 100 international caps and a record 46 goals. She competed in three UEFA Women’s Championships, two FIFA Women’s World Cups™ and one Olympics. Lisa Byington is a multi-sport play-by-play announcer. Last summer, she made U.S. television history as the play-by-play announcer for the first-ever all-female announcing crew for a U.S. men’s pro soccer match, calling FS1’s presentation of D.C. United vs. New England Revolution. Glenn Davis, a 25-year television veteran and former professional soccer player, calls his sixth World Cup™ this summer. He is the voice of the Houston Dynamo’s local TV telecasts and hosts a weekly radio show, “Soccer Matters with Glenn Davis” on Houston’s KFNC. JP Dellacamera, a legendary soccer broadcaster, brings decades of experience to the booth, covering 14 FIFA World Cups™ (nine men’s, five women’s), including nine consecutive FIFA World Cups™. Kyndra de St. Aubin has been a part of the sports broadcasting landscape for almost two decades covering men’s and women’s soccer, college football, basketball and softball. Currently the only female television analyst in Major League Soccer (MLS), de St. Aubin is in her third season as color commentator for Minnesota United FC. Jenn Hildreth boasts an impressive resume of broadcast and playing experience across several different sports. Hildreth has served in play-by-play, color analyst, host and reporter capacities in her coverage of soccer, spanning international, college and the U.S. professional women’s soccer leagues NWSL, WPS and WUSA. Angela Hucles won two Olympic gold medals and played in two Women’s World Cups™. During her seven-year career representing the red, white and blue, she played in 109 matches. During the 2008 Summer Olympics, she led the U.S. team with four goals, two of which came in the semifinal victory over Japan. Derek Rae, a prominent veteran broadcaster, calls his 11th World Cup™. He was most recently with BT Sport in the United Kingdom and can be heard often on the world English feed of matches from the German Bundesliga. Rae was elected as lead commentator for the UEFA Champions League and Europa League EA Sports’ FIFA19, the world’s most popular sports video game. Danielle Slaton played soccer for the U.S. Women’s National Team from 2000-05, earning a silver medal at the 2000 Olympic Games and a bronze at the 2003 FIFA Women’s World Cup™. Aly Wagner, a former mainstay with the U.S. Women’s National Team, a Women’s FIFA World Cup™ veteran and a two-time Olympic gold medalist, serves as FOX Sports’ lead game analyst. Last summer, she made U.S. television history as the first woman to call a men’s FIFA World Cup™ match. Cat Whitehill, a 10-year veteran defender for the U.S. Women’s National Team, participated in the 2003 and 2007 FIFA World Cups and 2004 Olympics. At the 2007 Women’s World Cup, she led the U.S. team in minutes played (2,116) and played every minute of all six Women’s World Cup™ matches. Kate Abdo is an accomplished multilingual journalist who has covered some of the most high-profile events around the globe, including FIFA World Cups™, UEFA Champions League Finals and FIFA Ballon d’Or ceremonies. She came to the network from Sky Sports in the UK. Rob Stone is the lead studio host for FOX Sports’ soccer, college football and college basketball coverage. The 2019 FIFA Women’s World Cup™ is his third World Cup™ as lead studio host. A recent inductee to the CT Soccer Hall of Fame, Stone was an All-Conference midfielder for Colgate. Jenny Taft is a moderator on SKIP & SHANNON: UNDISPUTED, host of CFB: INSIDE SLANT and reporter for the network’s college football and soccer coverage. A lacrosse player at Boston University, Taft’s on-air career began with FOX Sports North before she joined FS1 for the network’s launch in 2013. Alex Curry is a host and reporter covering the Los Angeles Angels, Los Angeles Kings and select games during FOX Sports’ college football coverage. She also covers the U.S. Women’s National Team for FOX Sports and is a fill-in host on FS1’s SKIP & SHANNON: UNDISPUTED. Grant Wahl is one of soccer’s leading journalists, a senior writer covering the sport for Sports Illustrated and best-selling author. He contributes to FOX Sports’ coverage of the U.S. Men’s and Women’s National Teams and was part of the network’s on-air lineup for the 2018 World Cup™ and 2015 Women’s FIFA World Cup™. Christina Unkel is a FIFA referee and litigation attorney. She has a 21-year career in refereeing and is one of three women in the country to have a FIFA badge, which allows her to referee professional soccer games abroad. FOX Sports is the umbrella entity representing FOX Corporation’s wide array of multi-platform US-based sports assets. Built with brands capable of reaching more than 100 million viewers in a single weekend, the business has ownership and interests in linear television networks, digital and mobile programming, broadband platforms, multiple web sites, joint-venture businesses and several licensing relationships. 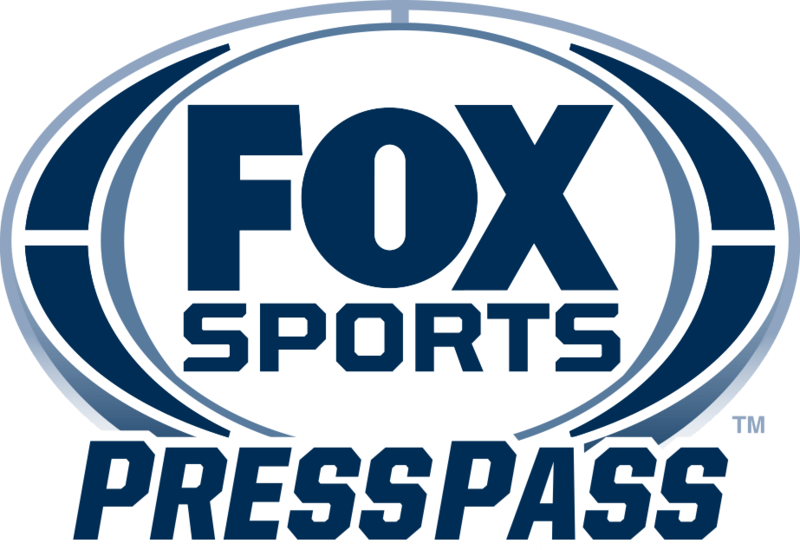 FOX Sports includes the sports television arm of the FOX Network; FS1, FS2, FOX Soccer Plus and FOX Deportes. FOX Sports’ digital properties include FOXSports.com and the FOX Sports App, which provides live streaming video of FOX Sports content, instant scores, stats and alerts to iOS and Android devices. Additionally, FOX Sports and social broadcasting platform, Caffeine jointly own Caffeine Studios which creates exclusive eSports, sports and live entertainment content. Also included in FOX Sports’ portfolio are FOX’s interests in joint-venture businesses Big Ten Network and BTN 2Go, as well as a licensing agreement that established the FOX Sports Radio Network.